Nullsec is full of buzzwords and catchphrases these days. Obviously, I’m exposed to more of them than most, thanks to our regular CEO updates. We often “twist the knife” with our “Apex Force” to rain down the fury of space communism and ~tildes~ upon our enemies. One I’ve heard thrown around more than any this last year has been “content”. Finding nerds content is the Holy Grail of EVE for some people. These individuals are gifted trackers and hunters, sifting through information from disparate sources to find baddies to shoot. There are others for whom the quantity of information is hard to digest at first and some never grasp the mindset at all. Here’s a brief overview about how some of my friends and colleagues find, generate and organise content for others. Roaming is something that all PVP interested players have done, or actively do. FC-ing a roaming fleet is a surprisingly easy task – point your pack of nerds in a direction, tell them to go that way and who to shoot if someone’s there. In some parts of space, getting fights this way is really easy – I hear that in the Kiddie Pool (a.k.a. lowsec) there are fights a plenty for small and medium sized roaming gangs. Unfortunately, in null, you often have travel a large number of jumps from your sov bloc to find anyone to fight. 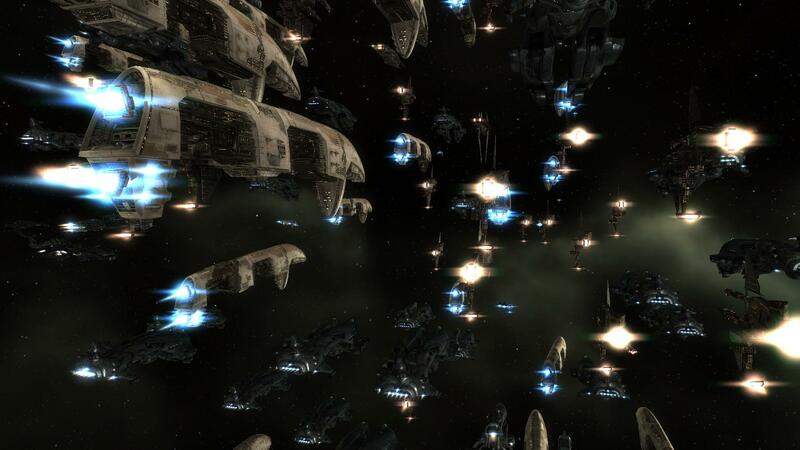 When you do find someone, the fleet you’re up against could far outnumber you. Out in Syndicate, we don’t have to go so far to find a fight, but it might be a bad match for the fleet and we could get dunked. Throwing a fleet against someone because they’re the first fleet we’ve come across in an hour is no fun, meaning we need to be more clever in how we find fights. Basic information gathering, for us, involves some simple tools. We know where our most regular enemies live and drop neutral eyes (i.e. characters not associated with our alliance) in their systems. We watchlist important characters – titans or FCs. When they log in, we know about it. D-scan and adashboard play an important part in analysing fleet comps – if we can counter the fleet, we’ll chase them down and take the fight. Sometimes you’ll get notification of a new fleet from the killboards, a pattern of kills emerges as they travel through systems. This shows you clearly what type of ships to form, but no information on who to shoot. Shared intel channels help too, talking to “valued friends” to find out who’s passing through their space can alert you to a fleet that needs taking care of. There’s nothing quite like teaming up with your neighbours. We did it with Eve University just this week, but it backfired sadly, resulting in a titan character’s name, POS location and password posted on Reddit. In fairness, it was a shobon newbie’s picture describing his excitement when he saw his first titan, so he gets away with it. Unfortunately, those who choose to sift through Reddit for intel now have that character watchlisted and are just waiting for him to make the first mistake. Of course, there are dirtier tools in the arsenal as well. Spies in different corps reveal to us broadcasts for fleets – what they’re going to be targeting, where they’re going, as well as the names of their FCs. The most talented spies even go with the fleet and give feedback on who to take out in the command structure. I’ve been on the receiving end of that a couple of times, it’s no fun to get to the fight and lose the FC instantly! Of course, being responsible for pulling this information out the EVE firehose is a stressful job. What if you lose them and can’t find where they are now? What are you going to do if you get to your predicted destination and they’re not there? What’s the backup plan? What if the fleet you’re tracking is a decoy? This stress can be combined with thoughts about the fleet you’re leading: Why is my fleet comp terrible? Where’s my titan for the first bridge? Why won’t Hibbie shut up about that bloody story? The momentary lapse in concentration this causes might lose you the fleet you’re tracking, and the cycle of tension continues. Of course, it’s not all a bad experience. If it was, no one would do it. The drive is born out of a love for sharing experiences with your friends and building a better community for yourselves in the game. It can grow into a mutual respect too; if you do it well enough, your fleet numbers will grow and you’ll gain a reputation both within and outwith your corp. Get too good, however, and you’ll find yourself on a watchlist before too long. When that time comes, go prod them with something. If you don’t want to prod the tower itself, you can always hit the people trying to do it – or as we call it in the CFC, “third partying”. If you apply the above roaming framework, it’s possible you’ll get some really good fights beside a moon and some high value kills if you can trap a capital or two. Of course, structure timers also spawn the biggest, most badass sounding battles of the game. The coordination and organisation involved is not something simple that just everyone can do. To find players content on the coalition scale, there are many moving parts. The real skill in these battles comes not from the 1600 F1-monkeys in their Megathrons, but from the content creators leading them. As an FC, there’s a vast quantity of information to absorb, consider, and relay at any given moment. It’s a stressful job for the guy in the driver’s seat, regardless of the value of the fleet they have under them. Take, for example, voice communications. Every line member of every alliance is familiar with being shouted at on Mumble, Teamspeak, Ventrilo or similar – targets are called, buttons pressed, ships killed. In the CFC, we have a few layers of voice above this, known as ‘command channels’. At its most basic, this function enables an FC team to discuss what to shoot or where to go separate from their fleet, and then give the order publically. Of course, that would be too simple for us! Command channels between different fleet channels are linked and can be broadcast to by those coordinating. All of these layers, interconnections and ways of sharing information make it really easy for one person to command, control and instruct the FCs of seven different fleets. They can then discuss, command and control their fleet and split their DPS and be useless anyway. If you’ve ever been told to shut up in battle comms, this is probably why – information overload happens really quickly. It’s really hard to listen to the battle commander and discuss with the other people leading your fleet what to do next. When you’ve got Joe Line-Member telling an enthralling story about his latest fishing trip, the issue is compounded and stress levels run high. Why do people put themselves through the torture of being shouted at from above and below whilst trying to think? Simple – we’ve got strategic targets to hit and we feel a duty to hit them. If we weren’t as organised, or as willing to be punished for fun, then we wouldn’t own half the galaxy. At the moment, that’s what we need to feel secure, to enable our space tribe to earn money, have fun and be protected from the baddies invading. You know the story – it’s been trotted out everywhere enough times that I won’t insult your intelligence by rehashing the rhetoric. Timer-centric campaigns come with a high rate of commitment and equally high rate of burnout. The most prominent fleet commanders and players often put their lives on hold for days, if not weeks at a time to fight enemies over sovereign territory. Families go ignored, food is rushed, work is sometimes called to claim sickness. There is an argument here to be had between running everything yourself and delegating to other players. Burnout and general stress would be lower if you had a group of people to monitor information and provide you with executive updates about the campaign. You could have a team making decisions – extra, trusted viewpoints are always valuable. You wouldn’t have a single point of failure and thus would probably be able to wash, eat, walk the dog, play with the kids and maybe turn up to work also. More often than not this is the structure in place. However, there is only so far that information can be delegated before it becomes unreliable. Only so many people in an organisation can be trusted to pull the final trigger on a big battle as well. Wires can be crossed and fidelity can be lost. Assumptions about the importance of things are often made resulting in crucial details unintentionally hidden. There’s always the panic, too, of mistaking one informant for another and sharing the wrong information in the wrong conversation. This is especially true when you’re holding eight discussions about what’s happening, and half of those involved aren’t allies. Of course, much of the best ‘content’ in EVE is regularly pure luck. Just look at Asakai and B-5RB for the headline examples – a misclicked jump and an unticked checkbox. It’s not always down to who has the best organisational structure, the most spies, and the best assessment of intel channels. Sometimes, good things just fall into your lap. There are many things that CCP could do to make the ‘content generation’ process easier. 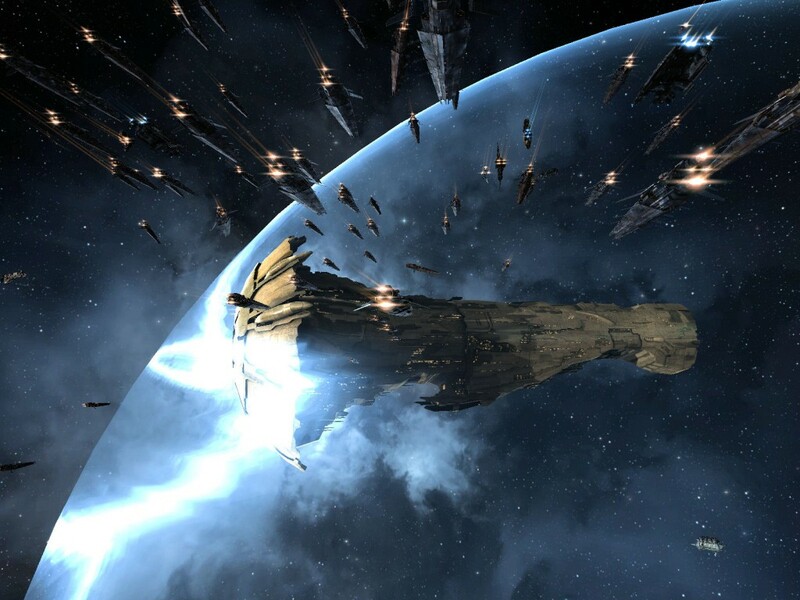 CCP Seagull stated she wants to help ‘enablers’ and ‘instigators’ in a dev blog last year. There’s a couple of things that, from my perspective, would make the job of hunting for kills immeasurably easier. First and foremost, I’d like to see a better way to find kills within the client. I know we’ve got killboards externally and I can open them in the browser, but they don’t offer the functionality I need. Imagine opening the in-game kill browser, filtering for your home region and seeing recent kills appear, with highlights and tooltips on the map. Nice little pulses show new kills appearing, with a tooltip saying how many were involved along with the dominant alliance perhaps. Left click, see the killmail. Right click, set destination, and we’re off. They change location and kill again, you can change your route to intercept them. Maybe you make a kill on a gate – they know you’re coming now. The race is on. 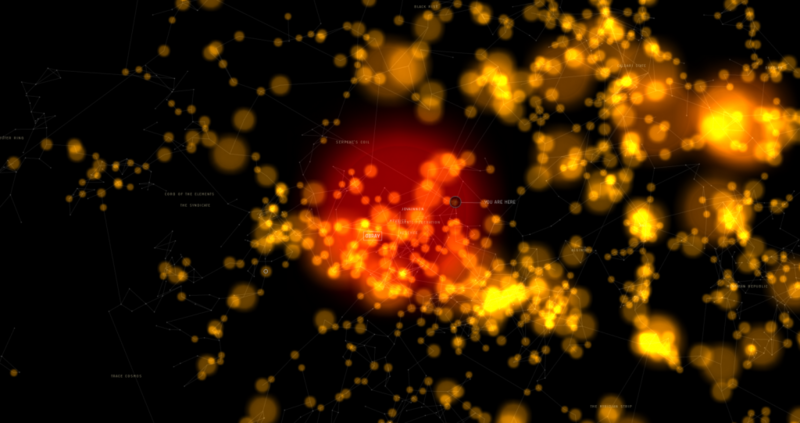 Think of it as a ‘kills in the last 30 minutes’ feature, but evolved to show us what’s happening in the universe right now, enabling us to react smarter and faster. I’d love to be able to share tactical information more easily in the client – why do I need to use an external tool to share directional scan? The same is true if I want to analyse the metadata about who is in local. If I’ve set an alliance red, I can already see how many of them are in local – why not evolve it so that I can see their numbers, names and allies with a single click? I don’t think that’s a game breaking request, or significantly removed from what we’ve got already. A way of sharing chat logs would be of benefit. I’d rather pass information directly to someone than have to regurgitate it in my own words. Instead of “I spoke to Spaceguy_420 and I think he said x,y,z”, I’d rather just pass over the log saying “Here’s what we spoke about”. Maybe, if not log sharing, more sensible copy and paste options. I can do it on my phone better than the EVE client – that’s pretty bad. Both would help enable more accurate information sharing and hopefully less stress for all! Having the ability to look into and filter the firehose of EVE information is a fantastic skill. Combining it with a level head and a significant network of friends to call upon puts you in a highly responsible position if you use it to benefit your friends. Only a few people are cut out to do the job well. If you can, you will be rewarded fantastically. If you can’t, the worst that happens is you join the rest of us pushing F1 and being shouted at.